How to Develop an app Like Yelp? Yelp website and application is used to search for local business goods and services and find out the reviews about them. 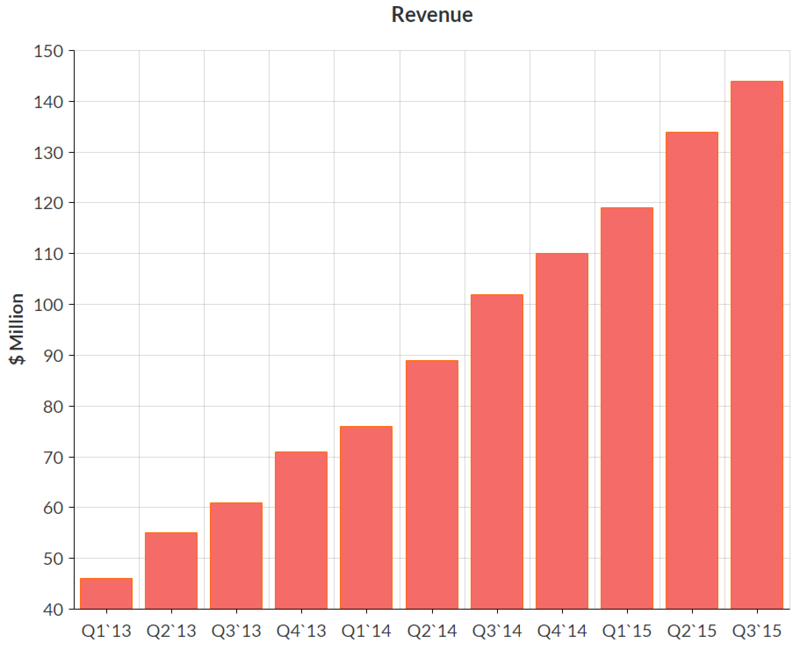 According to statistics from open sources, Yelp gets over 142 million of average monthly unique users. Yelp advent has changed the concept of service selection, and the business itself has become more responsible. Experience indicates that every new star in Yelp rating review increases sales up to 5-9%. That is about $8.000 per year without ads, and about $23.000 with paid adverts on Yelp. However, we receive a large amount of applications for ambitious Yelp app clone projects or the type of applications “Yelp for X”. That`s why we decided to talk about how to build an app like Yelp in this article. Personalization brings more trust to reviews and also gives you comprehensive data about your users. To cut the number of steps to get access to your app experience, we usually recommend adding the function of login with existing social networks. It also helps to boost a buzz about your fabulous app among user`s friends and brings you, new customers. It also simplifies the user onboarding process. This is regard to users. The other option that should be provided is a business account creation. It supposes to ensure local businesses (services or goods) to verify their profiles, manage reputation, rating, and reviews as well as coordinate their advertising campaign and costs. These are fundamental features for applications like Yelp. First of all, your app supposes to figure out the user`s location. Determine the right café, restaurant or shop can become a harder problem than it looks like. For searching businesses our Yelp app developers can use Google Maps API that is available for iOS, Android and web browsers. Google Maps SDK for iOS and Google Maps Android API provide maps into devices, and iOS Map Kit displays map information on the iPhone screen. Same is for a variety of Android smartphones. You can also use Foursquare API to create MVP and check the viability of your idea. READ ALSO: How to Build a Mobile App With Geolocation? To provide the feature of reviews and ratings, it is important to have a server that will store all necessary information. You can have unique Google/Apple identifiers and track with them comments and reviews. To ensure users with relevant information, you need to figure out people`s preferences and lifestyle. You should agree, that your users would be much more satisfied if you won`t send a review about the new steak restaurant for a vegan, or a new night club for those, who prefer opera music. Foursquare solves this issue by taking past check-ins of users. In its turn, Yelp can use only information about reviews. That means that Yelp has no information about that group of its users, which only use a website for search and never created an account. Probably your app would be a new, more user-oriented Yelp? The other important option is not to lose a sight about hours data. Both Yelp and Foursquare are pretty good at it. According to Nielsen research, 82% of users visit Yelp with the intent of making a purchase. 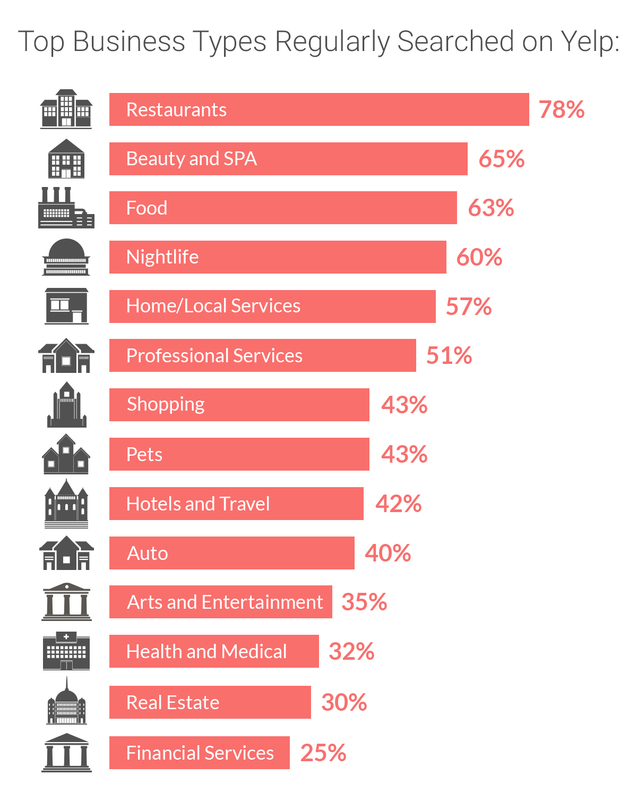 At the same time, 89% of those, who makes purchases with Yelp, do so within a week. Yelp gives access to over than 76 million local businesses. User`s reviews have a huge impact on this business and literally can be the reason of prosperity or decline. For business, it is tough to get the highest score in-app rating. First of all, customers tend to share negative experience more frequent than a positive one. Secondly, it is all about unique Yelp`s review filters. Darnell Holloway, Director of Local Business Outreach at Yelp, explained that Yelp estimates every single review according to many factors as general user`s activity, the quality of review and reliability. Reviews suppose to contain new information, be helpful and provide Yelp with trends that form new customer experience. Also, Yelp checks the users information such as age, accommodation city, a number of friends and left reviews. Filter algorithm can filter out reviews that seem to be entirely fair and were written by real users. Reviews are never deleted. Even if they are hidden, they still located in users` profiles. 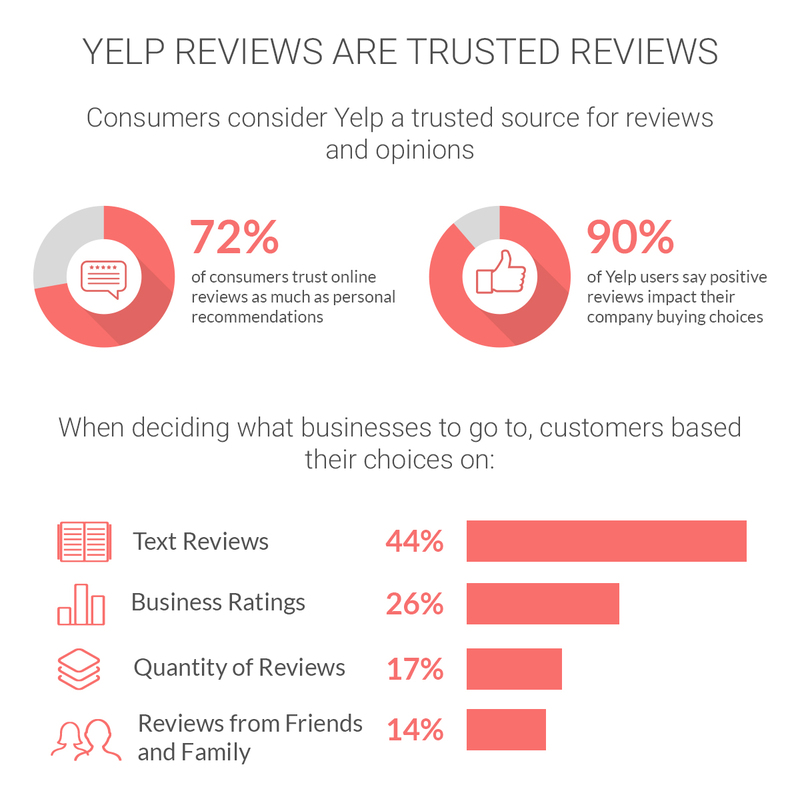 Yelp stands for organic feedback and discourage businesses that persuade customers for comments. All this makes a high rating score a tough task for business owners. This is basically what results for the monetization of Yelp. It is one of the most popular forms of how the service gets revenue. 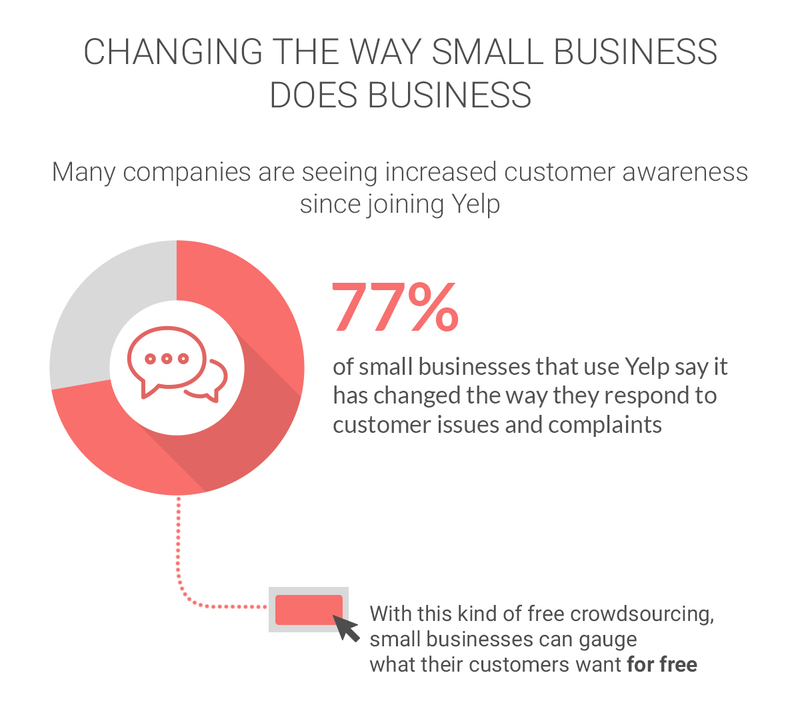 According to Forbes estimation, advertising of local businesses gives about 73% of Yelp`s company evaluation value and increase from $31 billion in 2014 to $35 billion in 2015. This model is similar to Google search. Local businesses pay Yelp to move their links higher in SERP. This feature lets customers shop online and brings a bit less than 5% of annual revenue. This method was borrowed from Groupon. Yelp provides its inbuilt offers system. You can find two options here. Placement of other business from the same market segment that doesn`t have any current ads, or you can pay to remove a competitor placement from the business page. Let's customize the business page with photo and video gallery and spotlight reviews. Feature for restaurants and bars that enable in-app table reservation. It will cost for business about $99 per month. How to Develop an App Like Yelp and Bite out of Yelp? The App Solutions team collected some tips and tricks that will help you to create a successful application. When users download your app, it is always optional for them to give your app access to their geolocation. If users cut off the permission, your app won`t be able to perform, and users won`t get the whole experience. Find the right time to ask for user`s geolocation. It is better to ask for the access to location information not right after installing, but at the moment when user tap on a feature that requires it. Also, give a short explanation about why you need this data. Your push-notifications should be short, quick and deft. Use a pinch of humor and themes that are acute discussed currently, don`t hesitate to use memes if it is pertinent. Also, make sure, that your notifications don`t look creepy like Big Brother is watching them all the time. Competitive spirit increases engagement. In this case, Foursquare can be an even better example than Yelp. Stickers, badges, virtual currency, nominations, and the ranks will help you with it and even can become an additional income if you provide in-app purchases. Emails can be a useful part of your location-based app and cause users retention. You can provide a weekly or monthly statistic, share useful tips and life hacks. Emails comprise richer and exhaustive content than push notifications. READ ALSO: How To Develop a Social Media App? It is quite hard to estimate app like Yelp cost without clear terms of references. But our developers recommend starting such ambitious project with creating MVP (Minimum viable product). This can save your money and test the idea without spending a vast of resources. For a start, we can use Foursquare API that gives an excellent venue database and mostly free. The cost to make an app like Yelp depends on the time and experience of developers that you want to hire. The average duration of such project is 3 to 6 months, and you need from 3 to 5 different experts to set up a database, back-end, front-end, design, etc. Apps like Yelp and Uber has affected the whole service sector and significantly increased consumer expectations. They have “network effect”, a so-called large critical mass of users, which is hard to achieve and to compete. But we believe that a good idea worth trying. Our team can help you with a better understanding of your project, set up milestones and move step-by-step forward. How to Create a Messaging app Like WhatsApp? You might've heard the term Ad Tech, but wasn't sure what it meant. How does it all work, considering the huge data transfers and processes? What are the Ad Tech industry challenges?